I’ve debated even posting anything about what I am about to share with you, but I know future me will appreciate the record. It feels like I am making it some big deal, some emotional thing by posting, but it’s not really. I hope you will take it how I intend it–to be a snapshot of this moment in time for me. A record to reflect on in future days. “Life comes first.” That’s what I tell my athletes and my designers. I feel strongly that training and work (when possible) should compliment your life. Sure, you will need to make sacrifices, but for the real important stuff in life the choice should be easy. Choose your family, friends, and yourself. I’ve registered for three different 50ks since I ran my marathon in 2015. I was so excited and confident for the first in October of 2016. My training cycle was going really well when all the sudden I had pain in my shin on a long run and two days later was diagnosed with a tibial stress fracture and eventually had to make the hard decision to pull the plug on my training. The second 50k was going to be an epic adventure with friends in the Grand Canyon last May. In April I rolled my ankle pretty badly and week later I developed some pain in my foot. Training went off the rails, but I decided I would attempt the race anyway. Then a week before I was supposed to flight out for the race, my 13 year old cat that I have had since she was just a few weeks old got very sick and spent a week in the emergency hospital. I just couldn’t leave her in the hands of strangers for a week, still on multiple medications, just a couple days out of the hospital so I cancelled. After that second 50k training cycle, I quit running for awhile. Got a few MRIs and discovered bulging discs in my back and bursitis in my foot. Started working with my trainer and lifting. Towards the end of last year I started running again cautiously and by the beginning of this year had registered for 50k for the third time. 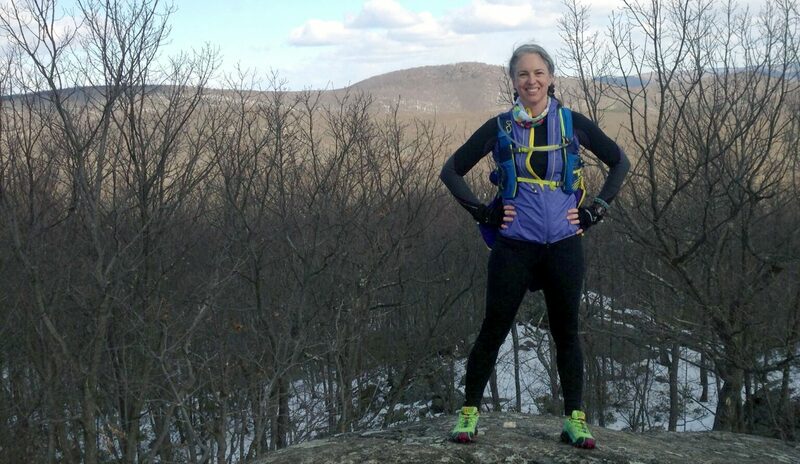 This time it was the North Face Endurance Challenge NY at Bear Mountain. This race and Bear Mountain hold a special place in my heart so it seemed perfect that this would be my first 50k. Third time’s a charm, right? Training at the beginning of year was going pretty well. I was getting in some good long runs and feeling confident. Since I was wanting to keep at least one session with my trainer a week and wanted to use up my climbing gym visits before I move across the country (more on that in a minute) I found myself not getting in all my runs during the week. Then one weekend while doing some moving prep I stupidly carried some bookshelves down three flights of stairs by myself and my back flared. I recovered pretty quickly, but then I was sick for a few days, we got a few snow storms, I started working later, and most recently we were without gas in our building for a little over week which just totally threw everything off as I had workers in and out of my apartment. I was still trying to get in long runs on the weekend, but with three weeks left before taper I haven’t had a week over 20 miles or a week with more than 2 runs in over a month. And I’ve started really dreading my long runs because they take up so much time and I know after them I won’t be motivated to do much else for the rest of the day. So for a third time I am pulling the plug on my 50k. This wasn’t an easy decision, but I know it’s the right one. I know that when I am in Washington missing my NYC friends, my trainer, and my old climbing gym I’m not going to regret this decision for one second. Maybe one day I’ll finally make it to the start line of a 50k, but until then I’m not losing any sleep with my decisions to put my loved ones and my happiness first. And I’m about to embark on an amazing new chapter filled with new adventures on new (to me) trails. I can’t wait to see what happens next. Funny what life can throw in the way of race starts, isn’t it? Similarly, I’ve registered for our famous road run here in Hamilton three times and am also yet to start it (this year included; the race is on Sunday).